Are your missing teeth holding you back? At Casa Dental we offer a number of viable treatment options to replace missing teeth . As a leader in cosmetic dentistry, we use modern advances in technology to replace missing teeth that will meet your dental needs and desires. Tooth decay affects patients young and old. Decay is an erosion of your teeth starting from the enamel on the outside of the tooth which slowly breaks down more and more of the tooth structure. The more severe the decay, the more painful this can be as it can start affecting the inner pulp of the tooth or lead to structural damage including cracks and fractures. If tooth decay is present in your mouth, the dental professionals at Casa Dental will remove the decay and fill it with a tooth-colored material such as a composite resin or stronger porcelain material. Movement in teeth may cause sensitivity to the teeth adjacent to the missing tooth due to their exposed roots when they drift into the gap. Having missing a tooth or teeth may make you look older. Loss of teeth from the back of the mouth may cause sunken cheeks and loss of teeth towards the front may lead to a sunken lip appearance as well. Your bite may also change and pose a problem for you by possibly causing headaches, migraines and pain in the jaw, neck or shoulder pain originating from pain in the jaw joint. To replace a missing tooth/ teeth, there are multiple options available. To understand your circumstances, we will need to conduct an assessment. During this consultation, we will listen to what you want and need before we offer possible treatment options. 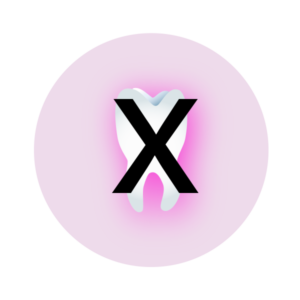 If you have a missing tooth or teeth, the space left by the missing teeth can cause the remaining teeth to fall into it, or the opposing tooth may grow upwards or downwards into the empty space. Porcelain Dental Bridges are also another option to replace missing teeth. To ensure the bridge is placed correctly at the site of the missing tooth, the two teeth either side of the gap will need to be correctly prepared for support. Dentures have been the industry standard for replacing missing teeth for hundreds of years before bridges or implants were available. Dentures may prove to be a good, removable choice for some patients. With recent technology and working together with leading dental laboratories, we are able to create lifelike prosthetic teeth that are aesthetically pleasing and functional. However, dentures may still have the tendency to move around while eating and talking, to fall out when you sneeze or laugh too hard and food trapping under the denture. Varying time between 3 days and 3 months. Generally 2-3 weeks start to finish. Varying time between a few days to a few weeks. Patient comfort is our top priority. To ensure our patients are relaxed and comfortable during any treatment we offer sedation options to calm nerves or for lengthy treatments so you can wake up to your new smile without feeling a thing! For All On 4 treatment, we generally carry out this treatment option under sleep dentistry. To reduce discomfort after surgery, we provide our patients with medication required, follow up calls and a review at the clinic a few days after the procedure.